The first land grant in Cessnock was made in 1829 to David Campbell, who chose the name Cessnock after Scotland’s Cessnock Castle. 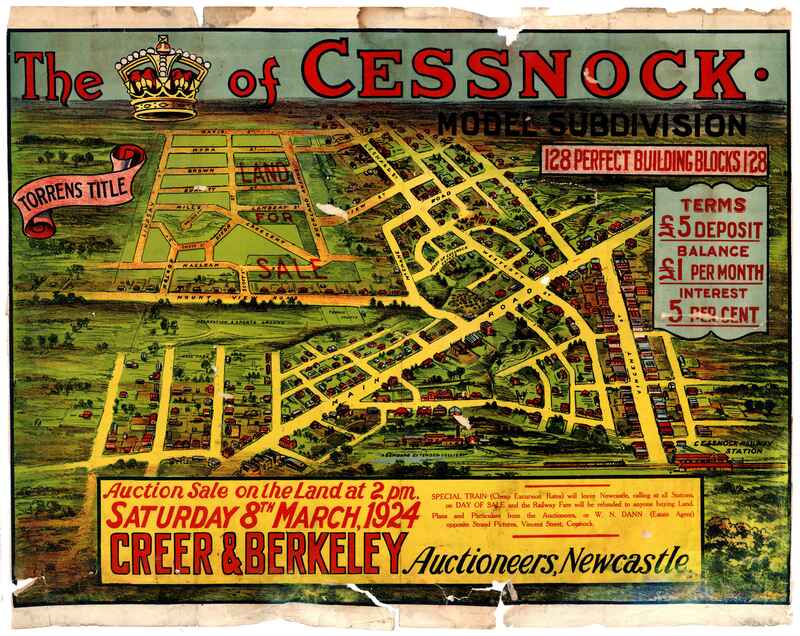 This was the same year that the Great Northern Road was connected to this area and in 1855 the Cessnock Hotel was built along it to serve as a resting point for travellers, as well as a place for meeting, polling and court cases in the town. 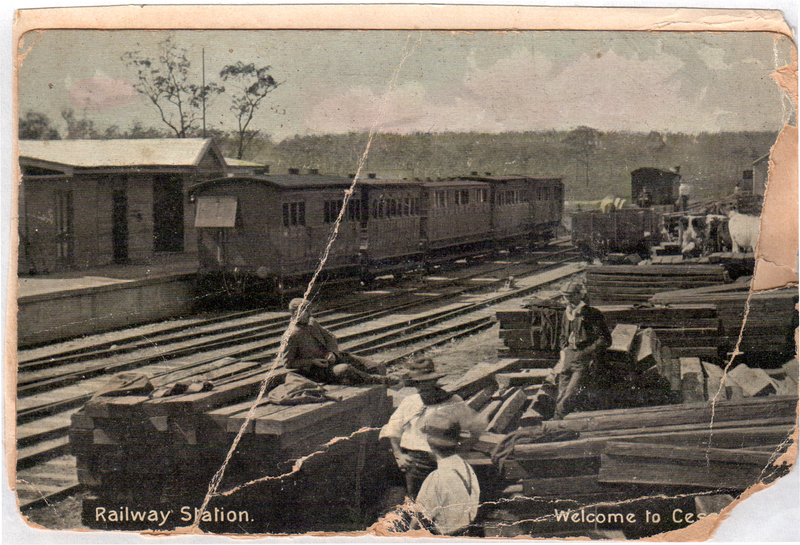 During this time, the Cessnock had very few colonists and conflicts with bushrangers and the orinignal inhabitants, the Darkinjung people, were common. This did not deter people from farming tobacco, grain, grapes and potatoes. As early as the 1860’s wineries were being established in this region. 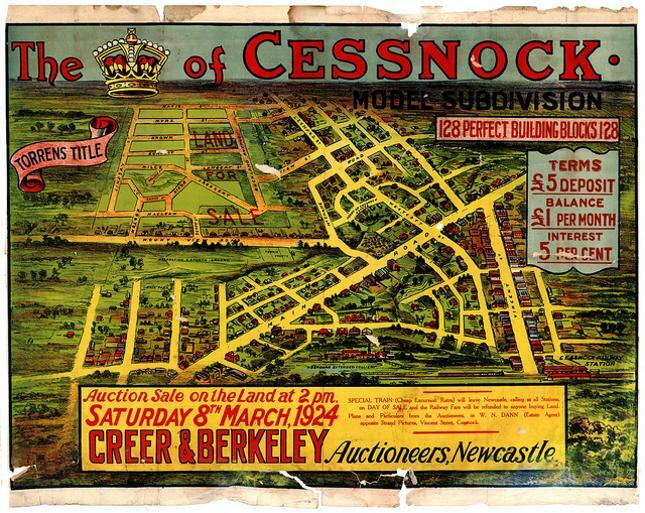 Cessnock, 8th March 1924.Scanned image of a land sale subdivision plan from the Collection of the Northumberland Permanent Building Investment and Loan Society, University of Newcaste, Cultural Collections. Sir Edgeworth David’s discovered the Greta coal seam in 1886, triggering the first mine opening and connection to Maitland by rail soon after. The introduction of mining led to creation of the Co-operative societies, miner’s lodges, hospitals and even brass bands. Major mines of the area included the Aberdare, Richmond Main, Pelaw Main, Hebburn and Abermain.